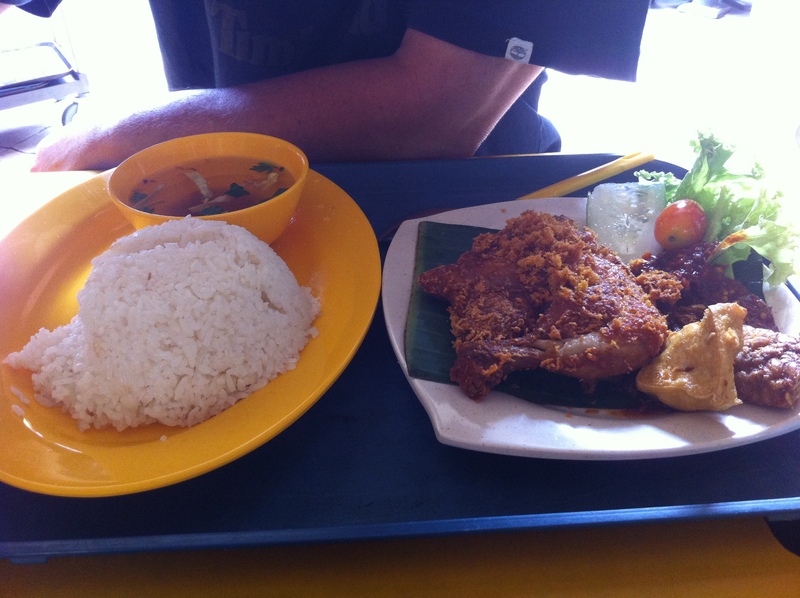 I just have to blog about this Indonesian dish I had over the weekend at a hawker centre. For those of you not in the know, a hawker centre is a public building that has little stalls that sell mainly local food. I don’t live in Indonesia so obviously this is not local, but our culture is closely entwined as Indonesia is one of our close neighbours. There are crackers, fried bean fritters, toufu some vegetables and sambal chili to go along with the dish and you eat it all with plain rice. The chilli is also a main ingredient in most Indonesian food and it’s generally made with chilli padi, the super hot chilli. 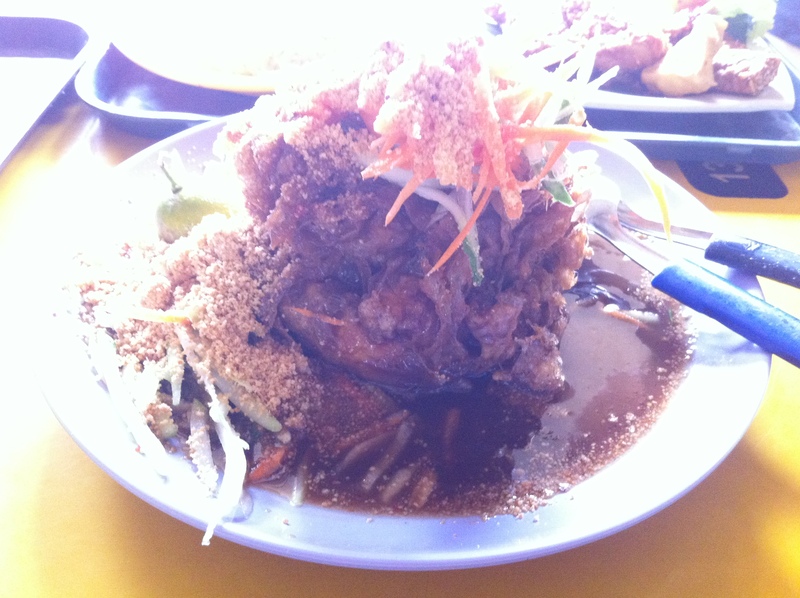 Writing about these dishes has made me crave for Indonesian food. Might have to go downstairs at lunch time today to the stall that sells Indonesian food. But what to eat? Tauhu telur or ayam penyet??? as close to your dish as I am familiar with.